Pair your iCrate Dog Crate with a fresh and new Midwest iCrate Dog Crate Replacement Pan. Featuring a durable, leak-proof material, the replacement pan is compatible with the single or double door iCrate, Life Stages and Ace dog crates. 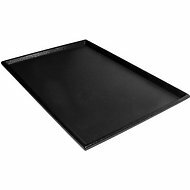 It’s made with a flexible polypropylene plastic mixture that’s odor resistant, easy to clean and stronger than other replacement pans that are made from ABS plastic. 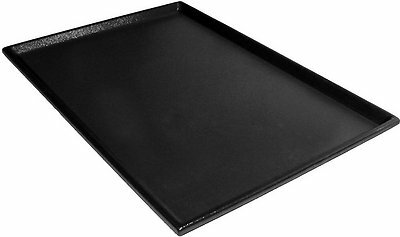 The replacement pans are injection-molded during the manufacturing process making them more flexible and durable than those who vacuum-seal their pans during the manufacturing process. The pan is designed to easily slide in and out of the crate for easy cleaning. 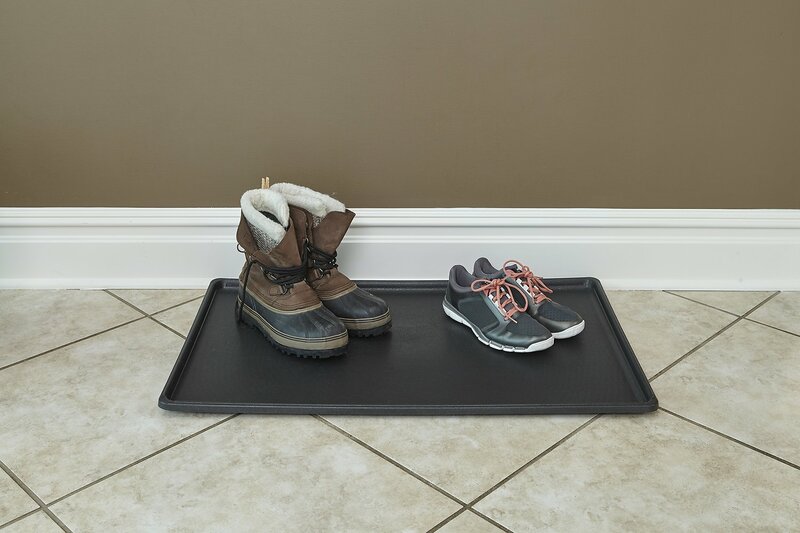 Not only can you use it as a replacement pan for your pet’s crate, this multi-purpose tray can also be used to hold wet or muddy shoes, your pal’s food and water bowls, your cat litter box to avoid a potential mess, and many other uses. 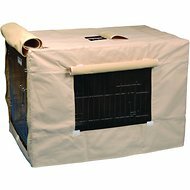 Leak-proof replacement pan compatible with MidWest Life Stages single and double door folding metal dog crates. Made with a durable, odor-resistant and easy-to-clean polypropylene plastic mixture. Slides out easily for quick and easy cleaning in the event your furry pal has an accident. Replacement pan is injection molded making it stronger and more durable than a vacuum-sealed pan. Designed for dog crates, but also great as a multi-purpose tray around your home. Compatible with the single or double door iCrate, Life Stages and Ace dog crates models: 1518, 1518DD, 1618, 1618DD, 418, 418DD. To protect the finish of your pan, use only mild, non-abrasive cleaners and water. Any coarse scrubbing or abrasive materials could damage the finish. So glad I found a replacement for our kennel. Ours was old and had split into thirds! Had looked other places. There were very few and the price was high but found it on Chewy for a great price and it fits perfectly. We found this XL crate pan on Chewy for much less than others had it, and it arrived in 2 days. Super price and great service. This is a hard size pan to find, so I was pleased not only to find it, but the quality is good too. Its made out of a good material, but its difficult to clean if there is an accident, due to the textured pan. Keeps messes confined. Perfect for crates and litter boxes. My cat gets a little messy with her litter so I have this under her litter pan and it’s the perfect size. Would like to see these trays heavier. A robust 22 lb. Pug cracked a tray during first time use. Perfect size to put large potty pads in, easy to clean, and I don't have to wash towels anymore, as I was placing towels under the pee pads - love it! First let me state that as usual, Chewy was great about replacing this item. This pan's shipment box had about a 1/4" of dust and dirt covering the box, looked as if it had sat in a warehouse somewhere for years (can't believe it was shipped this way). I opened the box and the pan is not only dirty, it's also scratched-up all over (used). I have a Midwest pan that's nine years old, been through three toy poodles that looks better. Very disappointed in Midwest. I have always chosen their products over others. Also, I agree with some of the other reviews, the quality seems cheaper. I gave one star because the system will not let you use zero.